The recently launched poll has shown your great interest in some large models of the famous supercars. Now here’s a list of the models you’re likely to see here in 2010. There are several areas of building with LEGO Technic bricks that I haven’t ventured into yet, mainly because of the permanent shortage of time. These areas include walking machines or models of planes, but it was only recently that I realized that I have never built an actual supercar. I own two Lego supercars, the legendary 8880 and the breakthrough 8448, the latter still being my personal landmark of a modern Technic supercar. So, with the 8448 in mind, I have added few new models to my future projects list. These were models of supercars I found particularly interesting or spectacular or significant. The first one of these, the Lamborghini Reventon, is already under construction and if things go well it can end up with as many as 14 motors plus two cooperative gearboxes. Nevertheless there are plenty of supercars to choose from, and I thought it would be wrong to make choices based only on my personal taste – hence the mentioned poll. Below you will find a list of all the supercars I’d like to build in future, based largely on the poll’s results. There’s a good chance of seeing at least half of these models in 2010, as I have many other projects waiting and I think it would be boring to build supercars one by one. Not to mention the complexity level, at which I expect every model to take at least whole month to build. Before we take a look at particular cars, let’s mention some things that I want to be common to all the models. All of them are supposed to be fitted with a full suspension, obviously, though the size of the models allows to try out some highly experimental solutions, so there will probably be a good dose of diversity. All the models should have realistic drivetrains, that is AWD or RWD according to how the real car is driven. All the models should be fitted with lights, openable doors and bonnets, various types of gearboxes and realistic models of engines. By realistic I mean models that show the exact location and type of the engine, not necessarily its accurate size or look, especially that I want to use exposed moving pistons in all of them. It means that I’m going to use standard LEGO solutions for piston engines but the models may still be complicated, to mention only the Veyron’s unique W16 engine. Most of the models, especially the large ones, will have bodies made in 8448’s style – that is built with flexible axles and panels (including the new 2009 generation panels) – but one of my goals is to try fully brick-built bodies too (e. g. with the Ford GT40). Finally all of the models will use wheels from the 8458 or 8448 set, and I favor the first ones as they appear more realistic and less toy-like in my opinion. 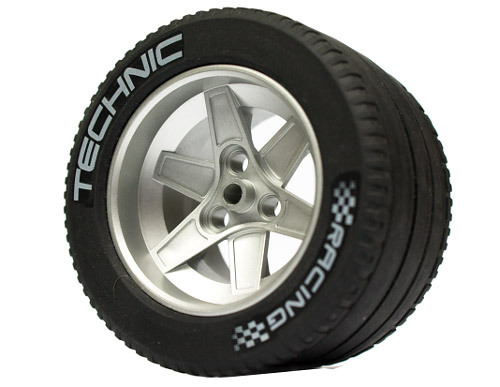 Both types of wheels have the same size, and hence the basic dimensions of the models are already calculated and listed below. The list starts with the models that are most likely to be built. The first two cars are already on my future projects list, while the remaining ones are sorted accordingly to the poll’s results. It means that I’m very likely to build Veyron, but not really sure about the Zonda. I want to experiment with the technical innards of every model, and to focus on different aspects of each of them (e.g. some cars can be built for multiple realistic functions and the others for high performance). Therefore some of these projects may fail and be dropped, but I believe it to be a proper approach, an approach that won’t let me build the same car with just slightly changed body again and again. 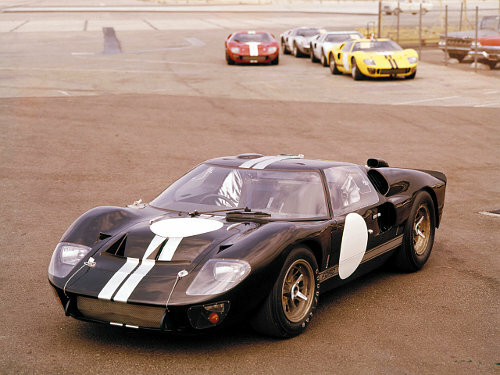 Ford GT40: RWD, V8 engine, length 62 studs, width 28 studs, wheelbase 35 studs. A legendary car created solely to beat Ferraris – and the one that did it. It’s relatively small and very low, which makes it an excellent candidate for a speed records-breaking model. 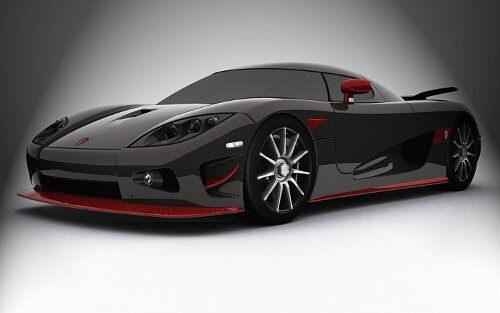 Koenigsegg CCR: RWD, V8 engine, length 60 studs, width 30 studs, wheelbase 40 studs. I’ve built a Swedish tank, so why not a Swedish supercar? Its small size makes it good for a brick-built model, while its large wheelbase provides space for a sophisticated drivetrain. 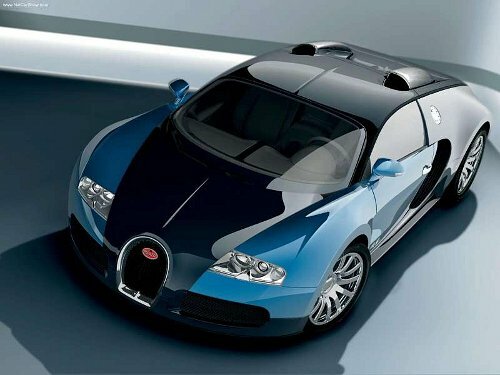 Bugatti Veyron 16.4: AWD, W16 engine, length 61 studs, width 27 studs, wheelbase 38 studs. An unquestionable winner of the poll and the current legend of speed. A small model whose bodywork will certainly be a challenge. You can see a remarkable example of an 8448-styled Veyron here. Dodge Viper SRT10: RWD, V10 engine, length 68 studs, width 29 studs, wheelbase 39 studs. The very essence of an American supercar. Perfect candidate to use the 8448’s wheels and the one model that will be probably most similar to the original 8448. An interesting yet not motorized version has already been shown here. 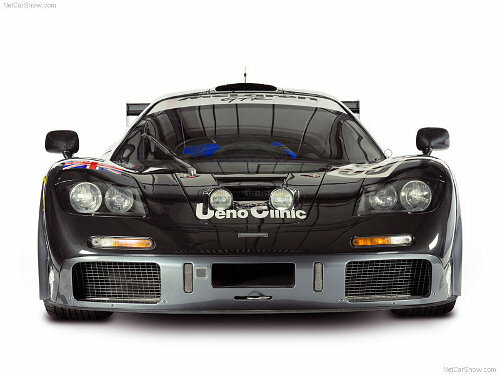 McLaren F1 GTR: RWD, V12 engine, length 73 studs, width 31 studs, wheelbase 40 studs. Racing version of another legend of the motorization. Large, low model with an impressive wheelbase. 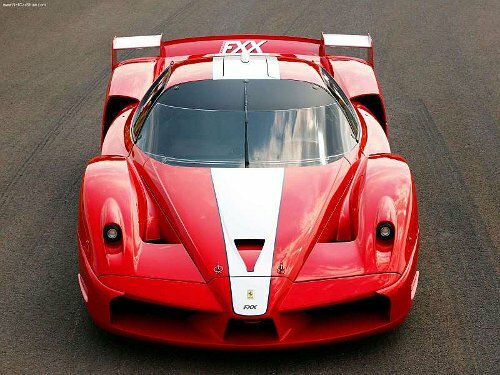 Ferrari Enzo FXX: RWD, V12 engine, length 67 studs, width 28 studs, wheelbase 37 studs. The best of the best. The most powerful Ferrari ever built, in a version so extreme that it’s illegal to be driven on the streets. Also the one with quite a challenging bodywork. 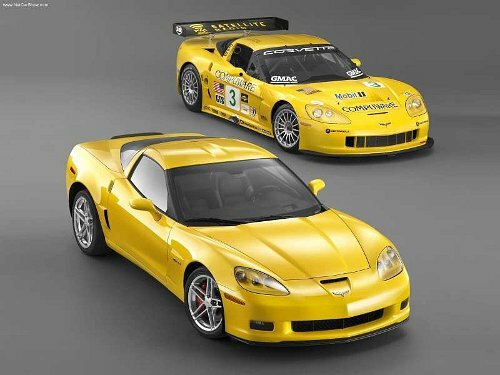 Chevrolet Corvette C6: RWD, V8 engine, length 63 studs, width 32 studs, wheelbase 39 studs. Another American legend, with a potential to be a lighter version of the Veyron’s model, thanks to favorable dimensions and simpler bodywork. Pagani Zonda F: RWD, V12 engine, length 61 studs, width 30 studs, wheelbase 38 studs. One of the rarest and most extreme supercars on Earth. Interesting bodywork and a promising wheelbase. A beautiful, yet not motorized model of this car has been already built by Eric Leppen. 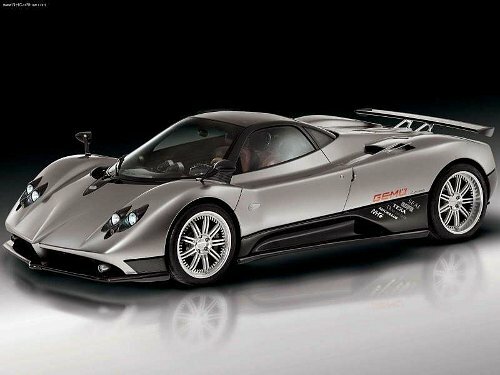 If any of the aforementioned projects fails, Zonda will most likely take its place. eh, I guess that it would be weird since I have the 81’s from nitro intimidator, and they are a lot thinner than these so I dint think TLG would make same diameter wheels and tires only wider. Does that mean that you can fit standard sized (Ferrari) rims onto the silver rims? They’re 81 mm. Why doubt it? Thats good. 🙂 but just another question, how big are the wheels? peeron says 81 mm, but I doubt it. Yeah, some time in the future… it doesn’t belong with supercars though. What about getting back to that Tumbler? While the GT-40 is my personal favorite, the ones I’d most like to see built in Lego would be the supercars with butterfly-wing doors (the McLaren F1 or Ferrari FXX) They will be the most interesting design challenges. The operation of the doors on the Koenigsegg CCXR is also pretty interesting — it’s a scissors-like motion, but with the doors moving outward as they scissor upwards. I think the term they use for these doors is “dihedral synchro-helix”. To be quite honest, I’m not a big fan of Mercedes sport cars. In fact, I find Mercedes trucks more interesting. Nope, I don’t like that one. the Koenigsegg CCR and the Ferrari Enzo FXX. if u could speed one of these two up, then that would be awesome!! I am a great fan from lambos and lego can you make an easier gearbox only for pf not with pheunmics and you can try to build a lamborghini countach or a murielago sv lp670-4. Because pneumatic engines are large and complex, because they are more prone to mechanical failure than electric motors, because they need a constant supply of air which makes it difficult to make them remote-controlled, and because they tend to work unevenly. I could list plenty reasons more, but the bottom line is that the only case when I would consider a pneumatic engine is a vehicle intended to operate in low temperature. It’s on hold at the moment. Just like I listed in the Future Projects section, the Volvo is the first to get finished, then the Tomahawk (still waiting for parts, post works sooo slow in December), and then the Reventon. And I’m pretty sure you’re going to see some pics of Reventon under construction, just like you see the Volvo’s now. We have been seing photos of your Volvo excavator (which is great), but how is the building of the cars going? Odpowiedniej do kół które pokazałem. W jakiej skali go zbudujesz? It’s under construction right now. I think you sould build the koenigsegg. The first ones on the list are the first ones to be built. I think this is a great project, and would love to see the C6 or the GT40. I am interested how you will work on the suspension design. With many of my designs (http://www.brickshelf.com/cgi-bin/gallery.cgi?m=thirdwigg), the weight of the car made for suspension and tire defection that made the suspension almost ineffective. I can only imagine how that will be increased with motors. 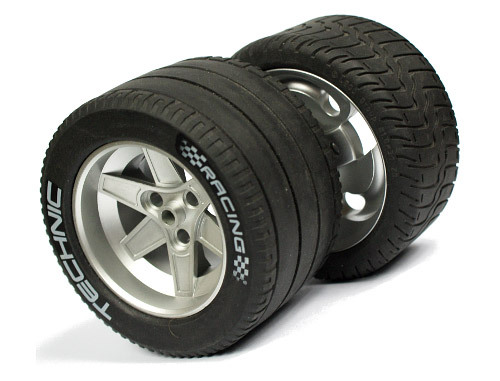 Every design I had with the 8458 tires did not seem to work, and I have little experience with the 8448 wheels. I love the look and realism with the 8458 wheels but found myself working with the 8386 wheels, because they seemed to work the best with the suspension needed for the weight of the vehicles. I look forward to see your solutions. Yes, I think it was stretched a bit to fit the gearbox behind the seats. I personally think there is room for improvement on the existing Veyron model in terms of design. It seems a bit too long and the wheels seems too small. Couldn’t you also use the 8880 wheels? Hello, not that this is about the cars, but I’ve sent you an email, just wanted to check if you’ve recieved it? It’s the same as the email I’ve used for this post. you have a comprehensive list- each of these cars are worthy subjects of a month or two of labor. and if you’re looking for a completely insane subject, i would recommend the ariel atom 500. it accelerates so quickly it deforms your face. Awesome news! I´ve studied the Veyron by Sheepo for hours, but still I´d like to see another buildt. One of the greatest cars ever. Looking forward to see it. Good luck. You mean the same Veyron I put a link to in the text? Man, you almost managed to surprise me. Would you please let me try building it anyway? Thanks, but I don’t really like Gumpert. If I wanted to build something really crazy, I’d go for the Caparo T1 or Tramontana. Great ideas! I can’t wait to see the results. Note that the Zonda is made by “Pagani” not “Fagani”. i´m great fan of that one. Each one going to be the first to come? They are all exellent cars.